DRU Lock-N-Secure Panel Protectors offer a safeguard for digital radiography as well as all cassette sized tethered and wireless DR panels. DR Panel Protectors offer a safeguard for your digital radiography equipment. Our protectors for both wireless and tethered DR Panels contain multiple layers of material that absorb pressure from additional weight, providing added protection. Each distributes weight evenly to prevent bending and cracking. The polypropylene handle provides easy transportation. 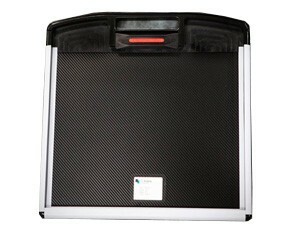 This product is available as a weight distribution panel protector.